There is a myriad of online marketing strategies that can benefit websites in strengthening their traffic, brand awareness, and conversion rates. Among the best online marketing techniques is Search Engine Optimisation (SEO), where the goal is to optimise your website for Search Engines, both on-page and off-page, to grow your organic search results listings. While SEO has proved to be very effective, it takes a decent level of knowledge, time, and money to see fruition. But what if you want to see results instantly? Regardless of whether your website has recently been published or you’re a small business that can’t rival the marketing budgets of national competitors, Pay-Per-Click (PPC) advertising is an effective tool that can assist you by placing your advertisements in front of individuals who are proactively searching for your products or services. In short, PPC is an advertising model used to increase traffic to websites. Website owners create ad campaigns with certain targeting metrics and essentially pay Search Engines every time their ad is clicked. PPC ads are normally created through Google AdWords or Bing Ads and are positioned at the top of SERP listings before any organic results. 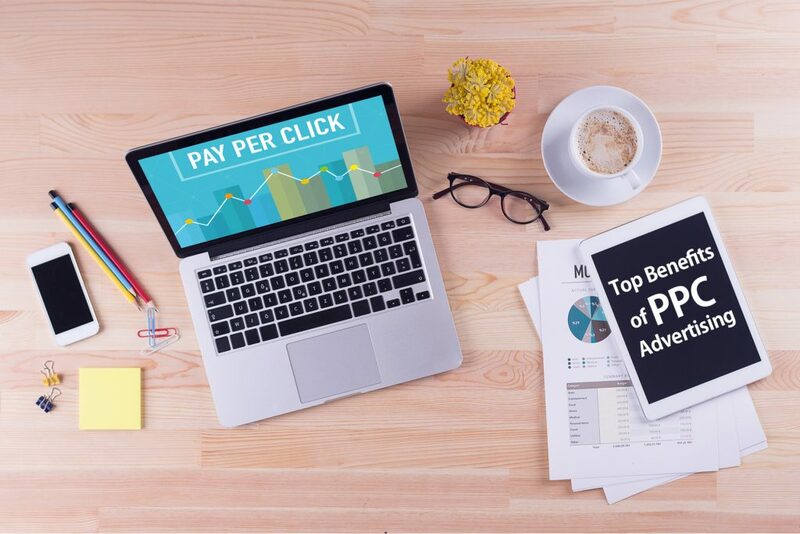 The rewards that many websites enjoy from this kind of advertising is invaluable, so here are the top advantages of PPC advertising for your enterprise. Among the top benefits of PPC advertising is the opportunity to quantify and track your results in real-time. Regardless if you set your daily budget to $2 or $20, there are an array of high level performance indicators that can be evaluated, including impressions, clicks, cost-per-click, conversions, and ROI to name a few. These metrics allows website owners to conveniently assess the performance of their campaigns and quickly make alterations where required to boost performance. Unlike other advertising tools, PPC grants you the freedom to customise and track metrics in each campaign and monitor success based upon your advertising objectives. PPC makes it possible for any kind of organisation to set up their advertising efforts quickly and easily, without delivering too much risk with the capability to establish a maximum daily budget. While SEO is a very successful strategy, it commonly takes many months to see results so if you’re a new firm that wants to increase traffic and brand awareness right away, PPC is ideal for you. Creating ad campaigns is all done from the PPC platform, allowing websites to cast a wide net to acquire new leads and customers by promoting ads on top of SERP listings. PPC advertising enables you to customise your campaigns so they only display to highly targeted customers. Google AdWords allows you to target customers based on keywords, location, interests, and the times and days you want to display them, enabling websites to spend their advertising budget only on their niche audience. Websites can then examine the metrics that were used in conversions and develop their future campaigns according to this feedback. Advertisers generally take a multi-layered approach initially and narrow down the specific metrics of a campaign that works best for their precise target audience. Having the ability to export the results of an ad campaign and evaluate specific metrics provides websites with invaluable data which can be utilised in other marketing methods. Along with this, websites can rapidly learn about impression, click, and conversion data for every keyword or phrase used in their ad campaigns which greatly helps in their SEO endeavours. PPC also makes it possible for websites to discover data about their comptetition by using third party tools like SpyFy and KeywordSpy, allowing them to create a profile of their competitors and what market share is obtainable. As you can see, PPC is an amazing marketing tool that is ideal for all types of companies. Not only are advertisers in complete control of their ad campaigns, budget, and target audience, the data received from real-time results presents invaluable feedback to boost future marketing efforts. The best aspect of PPC advertising is that there is hardly any risk involved with set daily budgets, so why not give it a go today? In today’s demanding environment of internet marketing, there’s no question that content is king. Content is all around us and individuals love consuming it! 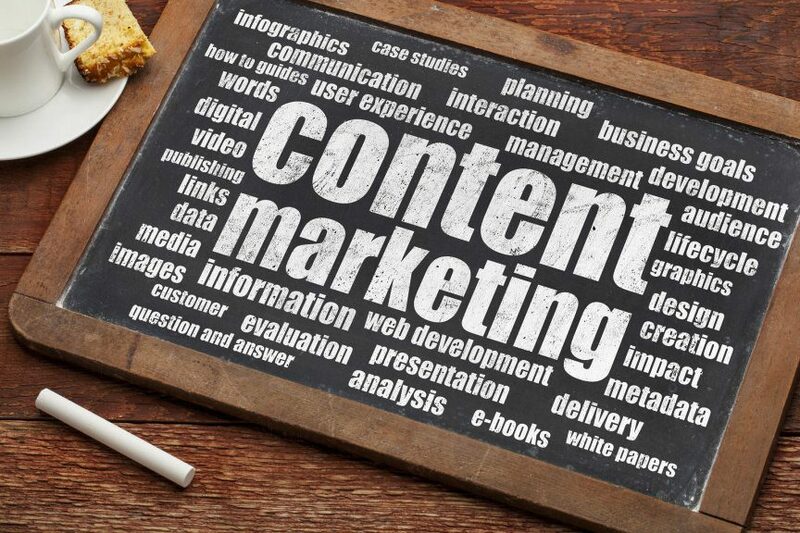 It should come as no surprise that content is at the heart of almost all marketing methodologies, with around 94% of small companies concentrating their efforts on content marketing. Having said that, with countless companies now honing their marketing campaigns on content, it’s becoming extremely difficult to stick out from the crowd and make your content marketing appealing and powerful. Have you tried content marketing only to find that you’re not getting the intended results? Well, you’re undoubtedly one of many businesses that are in the same boat. Don’t lose faith though, there’s no question that content marketing is among the most beneficial ways of increasing your customer base. So, here are four reasons why your content marketing might not be performing and most importantly, tips on how to fix them! Like any investment, if you don’t have a strategy and specific KPIs to measure results, how can you possibly improve? Putting up blogs and sending tweets are great, but if you don’t have any goals then you’re just aiming in the dark. For you to construct stimulating content that users will engage with, you need to have a clearly-defined strategy that should be aligned with your business objectives. Regardless of whether you want to improve brand awareness, website traffic, or conversion rates, your strategy should include KPIs together with short-term and long-term goals. These marketing goals should complement your business goals so you have a clear understanding of your audience, the purpose of your content, and the kind of content that will work best for you. With the enormous amount of online business today, it’s crucial that your content is distinguishable from others. Too many businesses will design content without examining the competition and subsequently craft content that merely gets lost in the crowd. Your content should be entertaining, fun, and most importantly, offer value to visitors by presenting solutions to prevalent pain-points in your niche. Along with this, different types of content suit different communication approaches, so contemplate the most effective ways you can accomplish this, either through infographics, videos, diagrams, or even just thought-provoking or intriguing text. Social media (Facebook, Twitter, Reddit, Google+). Adding internal links to your blog post. Pitching to influencers and bloggers in your niche. Proposing it as a guest post to bloggers in your market. Incorporating links to your content when commenting on other forums and blogs. Your content is not search engine friendly. Content represents a substantial portion of your SEO, so it’s crucial that your content is SEO friendly and never use black hat tactics to try to enhance results. Keyword stuffing is a typical mistake that companies will make in their content creation, coupled with using the wrong keywords, duplicate content, and not optimising meta tags. Do some research to obtain the most suitable keywords that your audience would use to find your content. Likewise, use meta tags to your strengths to attract more viewers to your blog. Search engines always want to deliver the best content to users, so if your content is engaging then other sites will link to it, increasing the possibility of obtaining more high-quality, reliable links from relevant businesses. At the end of the day, there can be hundreds of reasons why your content marketing isn’t delivering you the desired results, however the above points should deal with most of them. If you’re intending to invest in content marketing, you can’t do it half-heartedly. Conduct as much research as you can about your target market, your competitors, and your keywords, and produce intriguing content that your users will naturally engage with. In today’s competitive market of digitalisation and globalisation, it’s paramount for organisations to use online strategies and tactics that increase their exposure to customers that are proactively trying to finding their services or products. Search Engines are unquestionably the most influential programs that will affect your online visibility, and therefore your website traffic, conversion rates, and inevitably success. Search Engine Optimisation (SEO), therefore, is used largely by most websites to enhance their Search Engine rankings, otherwise known as ‘Search Engine Results Pages’ (SERPs). SEO can be an amazing investment that will boost your exposure and conversion rates, or if used poorly, can harm your rankings and visibility, thus having the opposite effect. The issue with SEO is that its algorithm is frequently changing, and most website owners don’t keep up to date with current SEO trends. SEO tactics that worked last year may not necessarily be effective this year, and prevalent SEO tactics from five years ago may result in your website being penalised today. 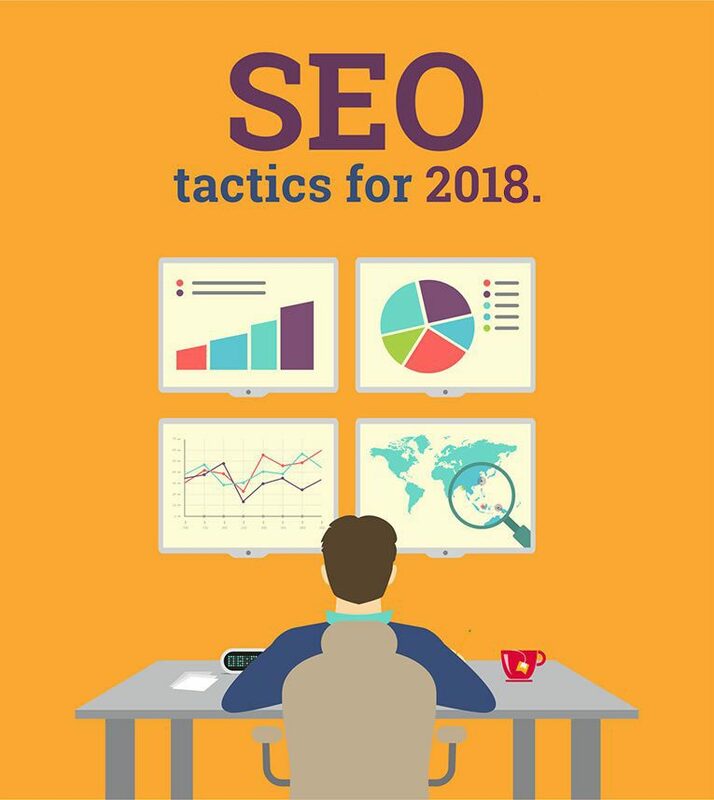 Instead of exploring the top SEO techniques that website owners should be investing in, we’re instead going to analyse the top SEO tactics that will actually penalise your website and therefore should be completely forgotten about in 2018. Keyword stuffing is a standard mistake that many website owners make in an attempt to increase their SERP results. Keyword stuffing is fundamentally the same as it sounds – adding as many keywords/phrases to a websites content or meta tags in any way possible. Search Engine spiders or crawlers can smoothly detect how many times a keyword has been utilised and will penalise websites for severe keyword stuffing. Instead of keyword stuffing, website owners should centralise their efforts on the sub-topics and related information behind the keywords/phrases themselves. Link building has been a popular SEO tactic since the start of SEO, and its performance as an SEO technique has advanced rather quickly ever since. Whilst link building remains among the top three SEO tactics in 2018, aggressive link building will without doubt result in your website being penalised. Google weighs links genuinely as a ranking indicator since links are a public endorsement which corresponds with valuable information on a website. Aggressive link building arises where links are collected in an irregular way. Examples of this is where links are positioned in poor link directories, purchasing links, link schemes, and other spammy tactics. This SEO tactic will result in penalties for a website and should be abandoned, instead being substituted with a link building strategy that is more user-focused and marketing based. One outdated SEO tactic that many people still perceive to be effective is excessive internal links. There is a common misconception where websites which contain a large quantity of links to other pages within the website will improve their SERP results. The objective in doing this is to increase a website’s backlink profile. This is definitely not accurate, as excessive internal links within your website will do more harm than good. One of the most overlooked SEO tactic that will enhance your SERP rankings relate to the images within a website. Optimising your website for image search is a reliable way to enrich your SEO, and this can be done largely with the image filename and alt attribute. As an example, instead of providing an image with a filename of home1.jpg, website owners should instead try to use a keyword that characterises the image. Additionally, a basic mistake with images is keyword stuffing the alt attribute. Are you new to social media sites and want to learn the essentials of one of the best platforms around the world? Well, you’ve come to the right place! Twitter is a social networking service where close to 330 million users interact with each other through brief messages of up 280 characters. Right now there’s over 6,000 tweets being sent through the internet every second, differing from simple text messages to memes, gifs, images, videos, and so much more. Twitter is one of the most in demand social networking platforms and is vastly different to other social networking giants like Facebook and Instagram. Twitter is a platform where people exchange a wide range of information; from jokes, politics, news, or just universal thoughts about vague topics! Rather than having a circle of friends like Facebook, Twitter is based upon followers (not specifically friends) so not only can you socialise with friends, but also your favourite politicians, journalists, and sport stars as well. Everything you upload on Twitter is available publicly for anyone to find, but don’t panic, you can freely adjust your preferences to private if you wish to. Hashtag (#) – A keyword or phrase used to describe a topic or theme in a conversation (e.g. #Vegans). You can search for tweets from all users that mention a particular hashtag by clicking on the hashtag itself. Creating an account is simple and straightforward, just download the app or go to www.twitter.com and click the signup button. The full name you enter will be your display name, but this can be modified as regularly as you wish. Select a username (or handle) so members can mention you by typing the @ symbol in front of your username. After you’ve entered your phone number for validation purposes, selected an avatar, and created a quick bio about yourself so others can see your hobbies and interests, you’re all set to go! As mentioned earlier on, Twitter isn’t about friending, it’s about following. Not only can you follow your buddies, but also any other individuals of which you’re a fan. Once you’ve registered, Twitter will offer a helpful kind of setup wizard to help you begin, such as recommending some users that you may like to follow. You can grant Twitter permission to browse your contacts list to look for any of your friends that are currently using Twitter. Following friends and other users is extremely easy, and once you’ve begun following certain users, Twitter will continue to provide suggestions for other users to follow depending upon the kinds of users you’re actively following. All the tweets of your followers will show up in your Feed, so the more you follow, the more Tweets will appear in sequential order in your Feed. You can Tweet anything you like, so long as it abides by Twitters rules and guidelines (https://help.twitter.com/en/rules-and-policies/twitter-rules). This includes mentioning other users (@), promoting a topic or theme (#), or Retweeting other user’s comments (RT). Simply click the ‘Compose New Tweet’ button and you can Tweet text, images, photos, videos, gifs – a complete range of different media that can be uploaded via your device. Always remember though, videos can only be a maximum of 2 minutes and 20 seconds long, however photos and images do not count towards your character limit, which is pretty cool! Once you’ve understood the basics of Twitter, the world is essentially at your fingertips! 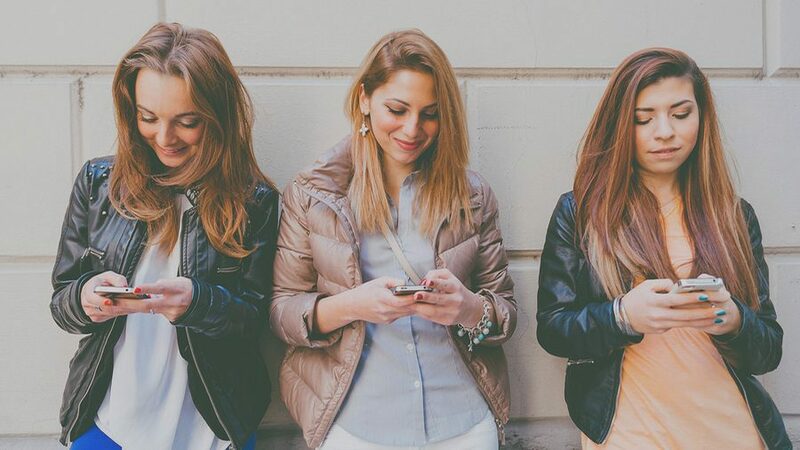 You can keep up to date with the current trends, be the first to view viral posts, and connect with your friends and favourite personalities in a simple and easy to use interface. What Are The Top Organic SEO Ranking Aspects For A Website? If you’ve just put together your first website and you’re interested in the ways in which you can enhance your organic search results, then you’re certainly on the road to success. SEO is one of the most useful marketing tools since it allows you to get your message in front of interested consumers that are directly searching for your products or services. Regrettably, the answer isn’t very straightforward! Google’s search ranking algorithm is basically its secret to success, so it’s genuinely convoluted and has more than 200 variables that account for the listings in its Search Engine Results Pages (SERPs). The good news is, not all variables are crafted equally, so you can address the most relevant variables that will have the biggest impact on your SERP listings. It is crucial to recognise that the weight of each variable changes over time, so Google will place more focus on certain variables based upon user behaviour and how Google believes it can maximise the user experience. With this being said, most of the leading organic SEO ranking elements have been in the same spot for a couple of years now, so understanding these top variables can give you a greater understanding of how you can optimise your organic search results to grow customer engagement, website traffic, and ultimately sales. A great emphasis is put on content given that Google intends to rank the most relevant websites at the top of its search results listings. The latest Hummingbird update helps Google to understand a website’s content structure and how this content adds value to potential consumers, so constructing quality content set in a natural tone will be remunerated with higher rankings. Including articles in your website such as descriptive tutorials, guides, and how-to’s is a fine start. On top of that, the more content you have, the better it will rank in search results. SerpIQ (https://serpiq.com/) has examined the top 10 search results and discovered that the top positions contain content that is around 2,400 words in length. For over a decade now, backlinks have been one of the most valuable variables in SERP listings due to the fact that the more links there are to your website from reputable sources, the more trusted your website is perceived. The other side of the coin is true also though, so be careful not to create links on spammy or uncredible websites or your rankings will decrease! Matt Cutts (https://www.youtube.com/watch?v=iC5FDzUh0P4) from Google explains that backlinks will lose value in time as Google searches for new ways to evaluate websites, but for the time being, link building is still the best indicator of relevancy and validity. With more users now browsing from mobile devices than desktop computers, there has been a substantial shift towards optimising your website for mobile devices. Google is presently experimenting with mobile-first indexing, which indicates that Google’s index will soon crawl the mobile version of a website in contrast to the desktop version. If your website isn’t already mobile-friendly, you better get started but be careful not to release it until it’s 100% complete or you may be penalised. Page loading speed is a decisive factor for mobile optimisation, so strive to have mobile pages loaded within 2 seconds to make sure that your website is truly ‘mobile-friendly’. There are many other technical elements that will greatly alter your SERP listings, such as security, headings, anchor text, and interstitials. There is a strong correlation between high ranking websites and those that are SSL encrypted (HTTPS), and this is very straightforward to install if you haven’t already done so. Additionally, make sure your landing pages have a H1 or H2 heading in the source code, as this has been found to correspond with higher rankings. Other aspects such unique and organic backlink anchor text and less on-page ads and pop-ups will also improve your organic search results listings. Google’s search ranking algorithm is continually adjusting, meaning that SEO techniques are continuously changing also. Even though there more than 200 variables in Google’s search ranking algorithm, Google has placed great significance in recent times on rich content, quality links, and a smooth mobile experience. Trying to concentrate on all Google’s search ranking variables will prove to be unproductive, but if you focus on prioritising the abovementioned variables in your SEO efforts, you will be ahead of the competition.